This was our #one favorite, if the price is right. 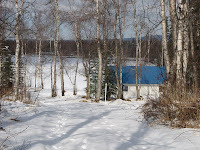 It is a small little house on Lake Wallace, 2 acres. Its livable and a beautiful place.